Monarch Air Group provides private air charter in Louisville, KY. Our clients benefit from top-notch service, unrelenting dedication to safety, wide selection of aircraft, and years of experience in chartering private jets. To obtain a free quote, please use our online quoting tool provided below, or call toll free 1-877-281-3051. Monarch Air Group offers private jet charter services to and from Louisville, KY, USA. 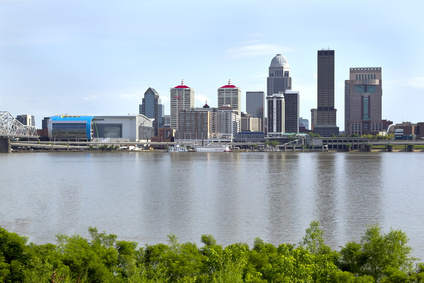 Louisville is Kentucky’s largest city located by the falls of the Ohio River. Currently this fun packed city is making one of the nation’s largest parks expansion projects underway. There are Muhammad Ali Center, entertainment complex downtown, a business district, and a recreational center for people who want to try any type of sports related activity. 1. BFR, Virgil I Grissom Muni, Bedford, United States. 2. BRY, Samuels Field, Bardstown, KY, United States. 3. EKX, Elizabethtown, Elizabethtown, United States. 4. FFT, Capital City, Frankfort, KY, United States. 5. FRH, Municipal, French Lick, United States. 6. FTK, Godman AAF, Fort Knox, United States. 7. HNB, Municipal, Huntingburg, United States. 8. LEX, Blue Grass, Lexington, United States. 9. LOU, Bowman Field Airport, Louisville, United States. 10. MDN, Jefferson Proving Grd, Madison, United States. 11. SDF, Louisville International (Standiford Field), Louisville, KY, United States. 12. SER, Freeman Municipal, Seymour, United States. 1. The Brown Hotel, 335 West Broadway, Louisville. 2. 21c Museum Hotel, 700 West Main Street, Louisville. 3. Hotel Night Club Louisville, 410 South 4th Street, Louisville. 4. Haunted Hotel, 3000 South 4th Street, Louisville. 5. The Brown Hotel, 335 West Broadway, Louisville. 6. Louisville Marriott Downtown, 280 West Jefferson, Louisville. 7. 21c Museum Hotel, 700 West Main Street, Louisville. 8. The Seelbach Hilton Louisville, 500 South 4th Street, Louisville. 9. Galt House Hotel, 140 North 4th Street, Louisville. 10. The Brown Hotel, 335 West Broadway, Louisville.